Thanks for your pipe mill,very good quality and best after-slae service! Hi Ms.Amy, Greetings! Thanks for everything when visiting you,very nice factory and good quality machine. Hopefully we can be good patners in future. Export waterproof and Seaworthy packing. Capacity of middle thick steel coil slitting line is mainly used to slit steel coils of thickness 0.6~5 mm, 1~6 mm, 2-8mm or 3~10mm. 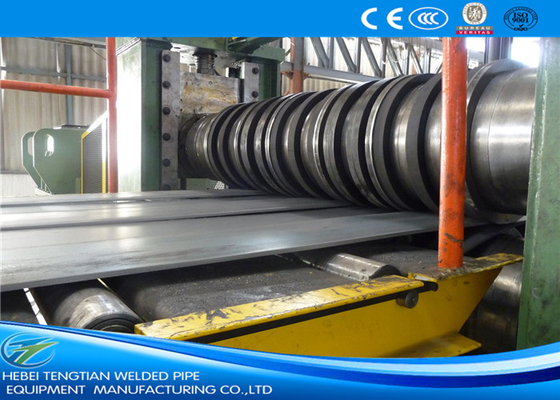 And for steel coils with width: 600~1600 mm, 800~1800mm or 800~2000mm into narrower baby coils. This steel slitter is widely used for proving steel strip coils for cold rolling mill, welded pipe mill, roll forming machine, etc. 1. Weight of middle thick steel coils usually with weight up to about 30Tons, in this case, double mandrel uncoiler is necessary to load so heavy coils. Double mandrel decoiler can be made to three steps respectively for three kinds of international standard inner diameter coils Φ508mm, Φ610mm, Φ760mm. At the same time, Double mandrel decoiler can made to be double cones without steps that can support and decoil a wide range of different ID coils from Φ480-800mm for the special steel slitting machine. 1. 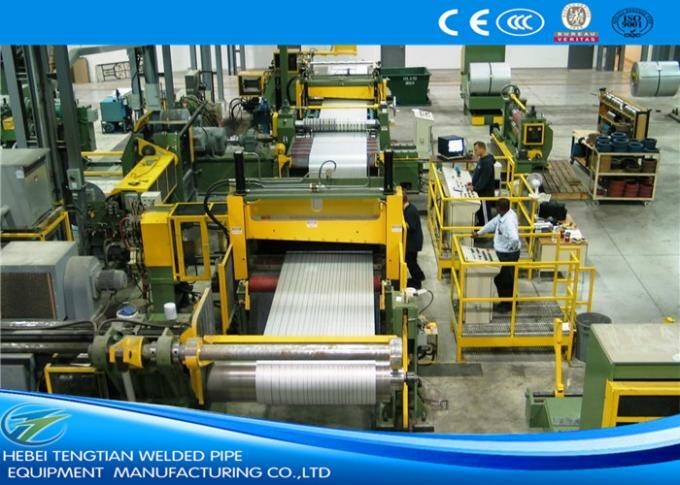 Each production line (thin sheet slitting line) is designed and made strictly according to customer requirements. Not only this, our engineers carefully think over in customer's shoes, making sure whole metal coil slitter to be compact, smooth, solid and easy to operate. 2. There are one or two hole accumulators in the middle thick coil slitting line, which depends on minimum thickness, slitting speed, etc factors. One pit accumulator always lies after slitter and before tensioner. 3. According to functions & solidity request of each steel slitter unit, we adopt suitable structure and use proper and enough material to make each steel coil slitting line unit. 4. Good material and precise sizes of disc knives, spacers and rubber rings on slitting shaft for our steel slitting machine can make sure little burrs, little cambers(±0.10mm/m), no stickiness to knives and precise slit width(+/-0.05mm). 5. Edge scrap reeler of our steel slitter uses torque motor, making sure evenly and synchronously wind edge scraps up. 6. To change disc knives fast, double steel slitter can be chosen. When one steel slitting machine is working, workers can install knives on the other slitter, then just exchange locations of two steel coil slitting line to continue work. 7. Double press rollers are installed on each equipment sequently following each hole accumulator, in case strip head falls in hole while feeding strip head through steel coil slitting line. 8. Coils separating & pressing-down bracket is installed on recoiler, hydraulically driven, press on recoiling block tight and automatically move up while recoiling diameter becomes bigger. Slitting line machine is usually be customized according to customer's requirements, As long as you provide parameters and requirements for us, and then we designed for you a suitable machinery equipment scheme. 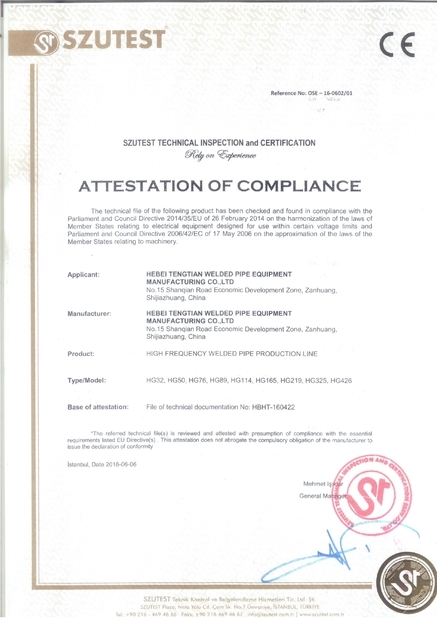 Note: The data in the form just as reference according to general ranges, we always design and make each steel slitting machine according to each customer's specific requirements, so each customer can buy his own well-content line from us. 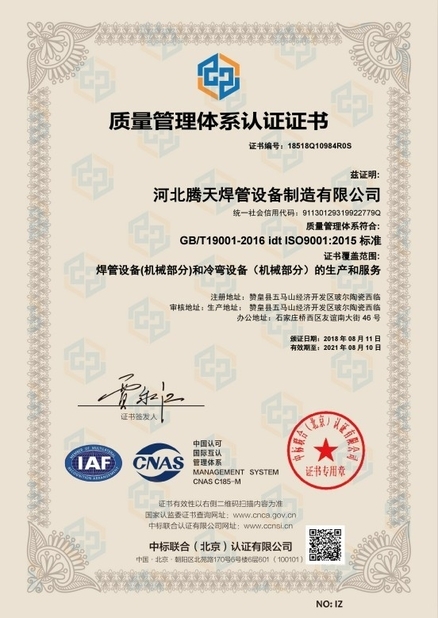 China Good Quality ERW Pipe Mill Supplier. Copyright © 2017 - 2019 erwpipemill.com. All Rights Reserved.